As a travel copywriter, I work with more than a few British blokes, and I used to preface conversations concerning my friend Mike as “the dude with a cool British accent.” Being from New Jersey, my accent is a little on the crass side but nothing as extreme as you’ve seen on The Sopranos. Still, as a fan of the show Sherlock and a lover of James Bond flicks, the accent from across the Pond is quite fantastic. When I brought this up with another British friend, also named Mike, he corrected me. I’ve been wanting to hop on a jet and fly the seven hours to visit Big Ben, Parliament, the London Eye (though I am afraid of heights, so I’ll probably just take a selfie with it), The Tower of London, and of course, 221b Baker Street for quite some time, but after learning the truth, I truly wanted to experience all that the U.K. has to offer, including its many accents. Not quite sure what Second Mike means? Then check out this quick video which showcases some of the great accents you can hear in the U.K.
Once you cross the Atlantic, you’ll want to stay close to the excitement of Britain and all its accents. The Thistle Euston Hotel is located near the Euston Station, which will connect you directly to the North West and Scotland, and only minutes from the London St. Pancras International Station, which is your gateway to the rest of Europe. The Thistle Euston is also a TripAdvisor Certificate of Excellence 2014 Winner and has 362 newly-refurbished rooms, making this the perfect fall getaway. If you book now, you’ll also receive a Hop On/Hop Off pass and an English breakfast daily. (Have you seen those? They are most definitely brilliant.) Of course, The Thistle is also well-known as one of the best hotels to spend Christmas and New Year’s, so consider taking a longer vacation to enjoy all the spectacular holiday merriment. If you’re searching for a unique experience, Meliá White House London presents an impressive mix of classic design with contemporary amenities. 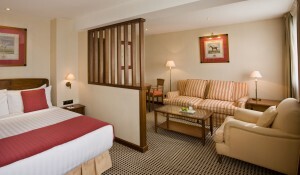 Built in 1936, the hotel boasts the original architecture but has the chic elegance you’d expect from a boutique hotel. If you’re looking for sophistication, then level up to The Level, exclusive rooms with complimentary full English breakfast, all day tea, coffee, and pastries, and an open bar and appetizers in the evening. The hotel is steps from the famous Camden Town, Oxford Street, and The British Museum, and only a quick taxi ride away, you’ll find Buckingham Palace, Westminster Abbey, and the Houses of Parliament. 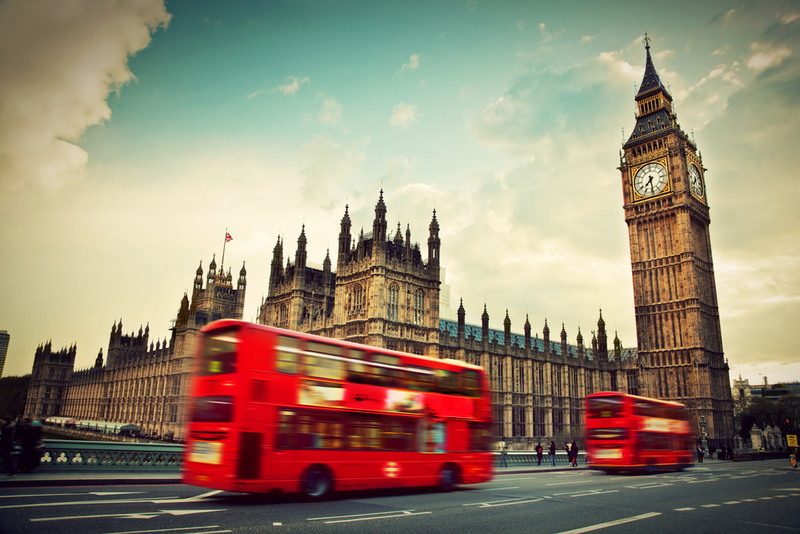 Book now for a 1 Day London Sightseeing Pass with Transportation. 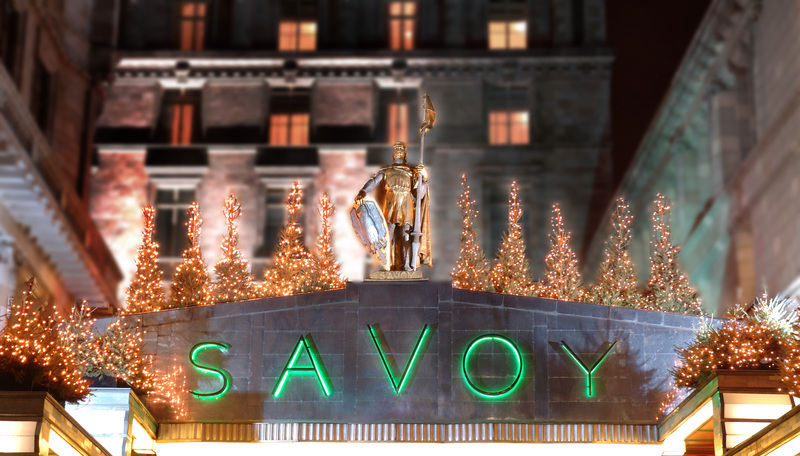 If you’re looking for a polished holiday, then look no further than The Savoy, a Fairmont Managed Hotel. This exquisite property shimmers with awards, like Forbes Travel Guide 2014 – Five-Star Hotel, Condé Nast Traveler 2014 Gold List, Travel + Leisure ‘T+L 500 Best Hotels in the World,” and so many more. Located on the River Thames (Are you pronouncing it correctly? ), The Savoy is a landmark all its own and is celebrating its 125th year. Experience The Savoy’s legendary service, from its trained professional butlers to the Luxury Thames (Still pronouncing it wrong…) River Cruises. Book now for a London Eye Champagne Ticket, an English breakfast daily, and a fourth night free. Don’t forget that GOGO Vacations is pairing with USTOA for the Travel Together Sweepstakes. In its last week, you can enter for a chance to win a journey to The Heart of England, including visits to the Harry Potter Film locations, Stratford-upon-Avon, Bath, and more! Check out all in the information at USTOA, and check out all the great deals to London this week at GOGO Vacations! Once in London, you can check out the great accents. Cherrio!